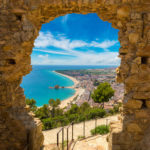 The region of north-eastern Spain known as Costa Brava is truly one of the most beautiful and culturally-rich areas along the coast of the Mediterranean. The name literally means ‘wild coast’, and there are so many gems among the white sandy beaches and quaint fishing villages, choosing which one to visit is like picking just one diamond among many! Here are three destinations that stand out for their history, outstanding scenery and ultimately, their stunning beauty. 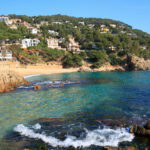 Despite the fact that the Romans named this town in Costa Brava after the word ‘Blanda’, or ‘bland’, it is anything but! The name likely refers to the milder climate on this part of the coast which is best known for having over 4km of beaches, the most well-known being S’Abanell which, because of its massive size, is pleasantly never overcrowded. 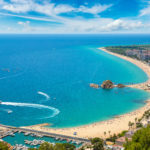 The quality of the sea water in Blanes is consistently high and tides are always calm making it a wonderful place to bring the whole family. In addition to its daily fish auction where the local fisherman sell their catch from the day, and the many fresh fruit and vegetable markets, Blanes is also home to the botanical gardens called Jardi Botanic Marimurtra. Established in the 1920’s, these amazing gardens sit atop the cliffs, giving visitors a full panoramic view of the crystal-like sea. The extensive, beautifully-maintained gardens boast over 4,000 species including plants native to Catalonia and those from Central America and South Africa. Jardin Botanic Marimurtra is known worldwide as one of the best in the Mediterranean and a ‘must-see’ for anyone visiting Blanes. While it’s easy to be distracted by the balmy beaches of Costa Brava, the region is also home to the most stunning architecture which offers a glimpse into the rich historical background of the area. One of the best examples of this is in Girona, the capital city in the province of the same name. Dating back to 79BC, Girona has a variety of architectural delights from the Cathedral of Saint Mary of Girona, featuring Gothic, Baroque and Romanesque styles and a 22-meter-wide nave, the Jewish Quarter, known as Call, whose winding medieval streets can be seen in the television show Game of Thrones, and the Benedictine Monastery, Sant Pere de Galligants which also houses the Archaeological Museum of Catalonia. 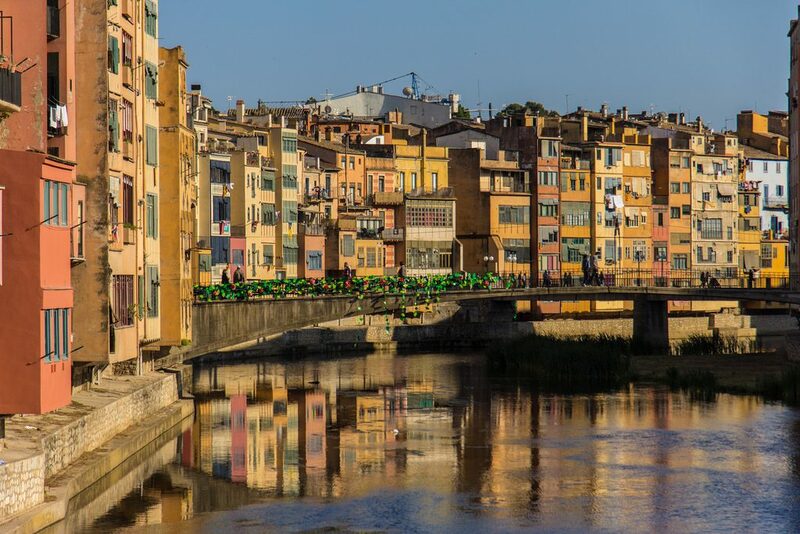 The city of Girona is a hikers’ delight due to the many walkways and ancient walls surrounding the city. Visitors can wander the walls on their own or join one of the many walking tours offered in the city. Walls such as the 3km long Passeig de la Muralla offer unbridled views not only of the beautiful city, but also the Pyranees mountains in the distance. No trip to Girona is complete without seeing the ‘hanging houses’ which line the bank of the River Onyar. These slightly chaotic-looking, brightly painted buildings are unique to the city; while most are occupied, visitors can enter Casa Masó, once the home of renowned architect Rafael Masó, and also wander across the Pont d’en Gómez, a pedestrian bridge constructed by Gustave Eiffel, known for a slightly more famous French structure! 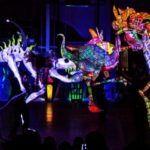 When a location is famous for inspiring artists such as Picasso, Duchamp and Matisse, was the home to Salvador Dali (now a must-see attraction ) and has been featured in countless books and films, you know that there is something very special about it. The picturesque town of Cadequés, located in the province of Girona and a little more than a two-hour drive from Barcelona, is the epitome of a typical Costa Brava fishing town, with sparkling blue waters, bobbing boats and steep, narrow and twisting streets. 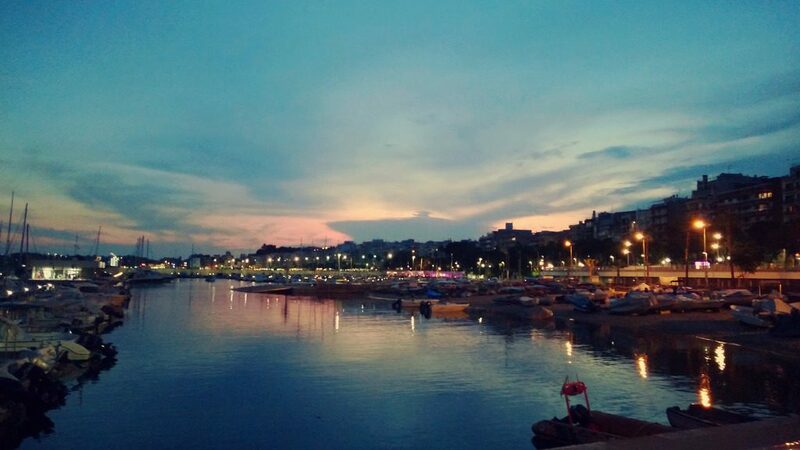 It is a popular annual summer escape for many Europeans and, while it can get busy during peak summer season, Cadequés retains a somewhat ‘sleepy’ feeling. This may partly be due to the relative remoteness of the village – accessible only via the Cap de Creus mountains, it is often referred to as an island, and the small beaches tend not to attract huge crowds of holidaymakers. Cadequés is the perfect destination for anyone craving Mediterranean tranquility – just don’t be surprised if you find yourself never wanting to leave.